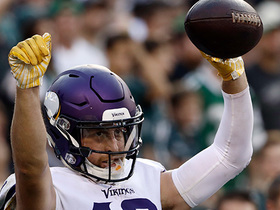 Analysis: Perkins' placement on injured reserve comes following the activation of fellow tight end Richard Rodgers. Coach Doug Pederson said earlier this week that he expects Perkins to miss "significant time", and it now appears that Perkins will miss the remainder of the 2018 season. 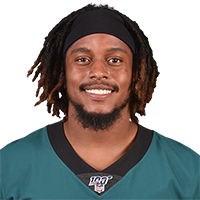 Perkins caught five of eleven targets for 67 yards in five games with the Eagles in 2018. Analysis: Perkins' absence from practice comes as little surprise after coach Doug Pederson said earlier in the day that he expects the tight end to miss "significant time." Dallas Goedert will remain the unquestioned backup to starter Zach Ertz during Sunday's game against the Saints, with Richard Rodgers (knee) a candidate to come off injured reserve and replace Perkins as the Eagles' No. 3 tight end. Analysis: Perkins suffered a head injury during the Eagles' second preseason contest. As with most players, Philadelphia remained relatively mum regarding his status and subsequent progression. Without his name in the report, it's expected that Perkins will be available as depth tight end for Thursday's season opener. Analysis: Perkins registered seven snaps on special teams and did not see the field on offense before leaving the game. The specifics and severity of the injury are not yet known. Analysis: Perkins spent the 2017 season on the Falcons' practice squad injured list with an undisclosed injury. 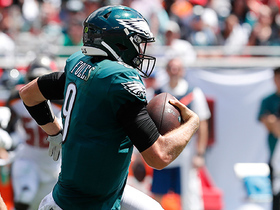 The Eagles are currently stacked at tight end, but Trey Burton's contract expires after this season, which could open up a depth spot for Perkins. 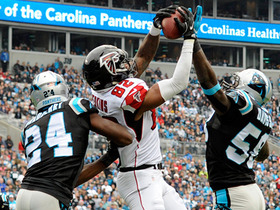 Perkins (undisclosed) was waived from the Falcons' practice squad injured list Wednesday, per the league's official transaction log. Analysis: Perkins had resided on this list since mid-October, though the exact nature of his injury remains behind closed doors. The second-year tight end will now look to land another contract in advance of the 2018 campaign. 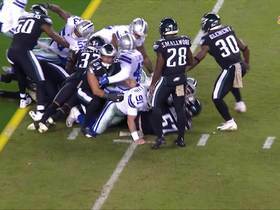 Dallas Cowboys safety Jeff Heath converts a fake punt with a direct snap for a gain of 3 yards and a first down. 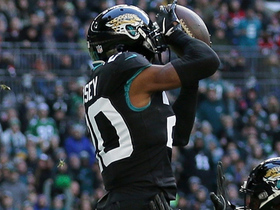 Jacksonville Jaguars cornerback Jalen Ramsey intercepts Philadelphia Eagles quarterback Carson Wentz. Atlanta Falcons quarterback Matt Ryan leads his team downfield and connects with tight end Joshua Perkins for a 26-yard touchdown. 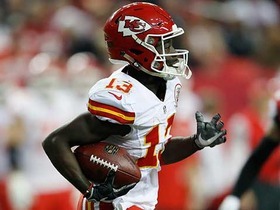 Kansas City Chiefs wide receiver De'Anthony Thomas has a stellar 20-yard kick return.